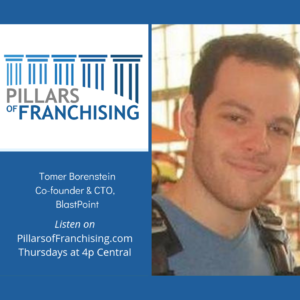 Tomer Borenstein is the CTO and co-founder of BlastPoint, focused on bringing the power of data to the masses. Tomer graduated from Carnegie Mellon with a Bachelor’s in Electrical and Computer Engineering, followed by a Master’s degree focused on Machine Learning and Computer Vision. Tomer was the first CMU undergraduate to create and instruct an official Computer Science course: “Building Cross Platform Web Applications”. Tomer is the grand prize winner of the UpPrize Social Innovation Competition, and has been recently named to Pittsburgh Business Times’ “30 Under 30” list. BlastPoint’s mission is to put big data, and geospatial data in particular, in the hands of everyone. BlastPoint’s platform makes geospatial data discovery and analysis, a luxury previously reserved for those who can afford expensive datasets and data scientists, accessible, affordable, and actionable. BlastPoint won first place at Carnegie Mellon’s 2016 McGinnis Venture Competition, and was part of AlphaLab’s 2017 winter cycle. It is also won the grand prize at the UpPrize Social Innovation 2017 competition.